The state of pay behind the UK high street. “My concern is not that there are too many sweatshops, but that there are too few,” says economist Jeffrey Sachs. In a sense he, he has a point. The fashion industry has the potential to lift millions of people in low-income countries out of poverty, and working conditions are not going to improve overnight. But it shouldn’t hurt this much. The global garment workforce in 2006 is tired, underpaid and unable to benefit from globalisation. Earlier this year in Bangladesh, where garment sector wages have fallen in real terms by half in the past ten years, workers finally snapped, protesting, rioting, striking, and even setting light to factories to express their desperation at wages as low as £7 per month. The number of legal challenges and protests by Chinese workers is also on the up. 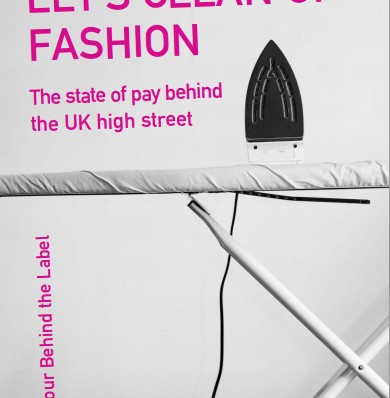 What do you think is a fair wage for the people who sew your clothes? Imagine you were a worker – what would you consider decent? 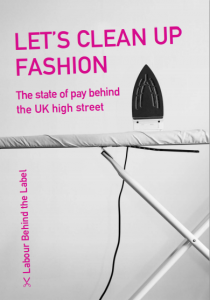 The right of workers to earn a living wage is enshrined in the codes of conduct that most UK fashion companies have pledged to implement throughout their supply chains, yet as the evidence on the ground shows – and as many companies admitted to us in the research for this report – few garment workers actually earn enough to make ends meet and have a decent quality of life.